Baby, mom and dad share same birth date! This December baby was born on exactly the same date as his mom's – and dad's – birthday! AP – Luke and Hillary Gardner never have a problem remembering each other's birthday. After all, the husband and wife were born the same day. And so was their son, 27 years later this past December. Using a smartphone app, he said, his wife calculated a due date of December 15, three days before their joint birthday. Her obstetrician called it for December 19. So the couple from Baldwyn, Mississippi, got in some exercise to try to hurry the baby up a bit. The night of December 17, Gardner said, "we went walking" around the parking lot at First Baptist Church of Baldwyn, where Gardner is outreach pastor. Whether or not the exercise sped things up, Cade was born at 10:01 a.m. on December 18 — exactly 27 years after his parents' birthdate. "Hillary is exactly six hours older than me," Luke Gardner said. She was born at 8:10 a.m. and her husband at 2:10 p.m. on December 18, 1989. They learned about their shared birthday before they started dating, while just part of a group of friends who hung out together. "I saw it on a Facebook page first and asked about it," Gardner said. "I couldn't really believe it when I saw it. I had to confirm it with her." "That comes out to .0000000751 — seven zeros and then 751," or about 7.5 in a million, he said, which comes to about one in 133,000. Statisticians note that this ignores such factors as leap years and the fact that births are not evenly spaced throughout the year. Gardner joked that if he and Hillary Gardner have more children, they may have to try for December. "If we have any more kids, if we don't get pregnant in March, we'll have to wait till the next year," he said. 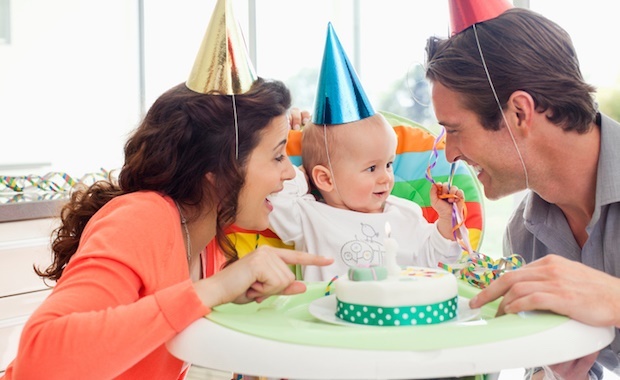 Do you and your spouse or children share a birth date? Send your comments and stories to chatback@parent24.com and we may publish them.